A WestPro Vacations representative will greet you personally at the Hertz counter of your gateway airport in Canada . They will ensure all car rental arrangements are to your satisfaction. Your comprehensive arrival kit includes clear directions to your hotel, in addition to all required travel vouchers and local area information. All vacations include use of a Hertz rental vehicle during your stay. The specific vehicle choices vary according to your chosen vacation. Unlimited kilometers are included with every vehicle rental. Loss damage waiver insurance is not included, so please check with your credit card company and insurance broker for coverage prior to travel. At the end of your visit, be sure to return the vehicle to the rental agency with a full tank of gas. Vacations with full size vehicles may be upgraded to include luxury, 4x4 or minivan vehicles. Specific hotel properties will vary according to your chosen vacation. All vacations include trusted quality accommodations. Daily breakfast is included at all properties. Valet and baggage service is included where available. Room upgrades are available at all hotels. 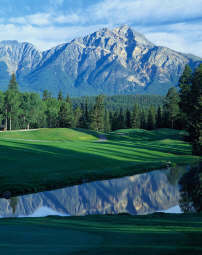 Canmore Marriott Residence Inn, Predator Ridge and the Summit Lodge include small kitchen facilities with all room accommodations. All rounds of golf include the use of power carts as well as practice at the driving range where available. 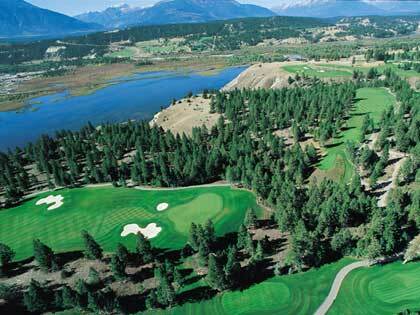 Extra rounds of golf may be added to any vacation itinerary. Trip cancellation insurance may be purchased at the time of vacation confirmation. Prices are net per person in CANADIAN FUNDS based on double occupancy. US dollar amounts are shown for estimating purposes only. Estimate on 1.00 US$ = 1.30 CDN$. Seasonal rates apply to vacations that begin and end within the season date rate outline. All rates are subject to the Good and Services Tax (GST) and the Provincial Sales Tax (PST). A net rate of 3.5% applies for international visitors after all applicable rebates. For all purchases taken out of Canada, we encourage international visitors to keep their receipts and use the Taxes Rebate Program. Your vacation includes all taxes and gratuities on included services. During your vacation we provide 24 hour emergency phone coverage and availability.